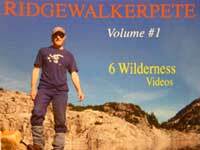 Hike the peaks and ridges of S.W. British Columbia with The Ridge Walker. but where is the crusty bear?